Jules: They don't call it Quarter Pounder with Cheese? Vincent: No man, they got the metric system. They wouldn't know what the f*** a Quarter Pounder is. Vincent: Well a Big Mac's a Big Mac, but they call it Le Big-Mac. Jules: Le Big-Mac. *laughs* What do they call a Whopper? Vincent: I dunno, I didn't go into Burger King. 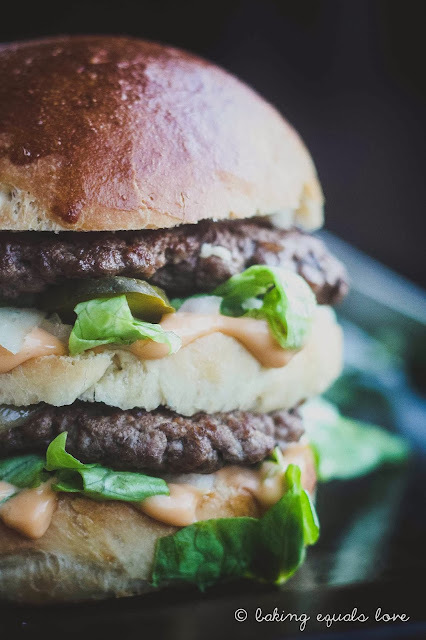 Oh yes my friends, that is two all-beef patties, special sauce, lettuce, cheese, pickles, onions – on a sesame seed bun. 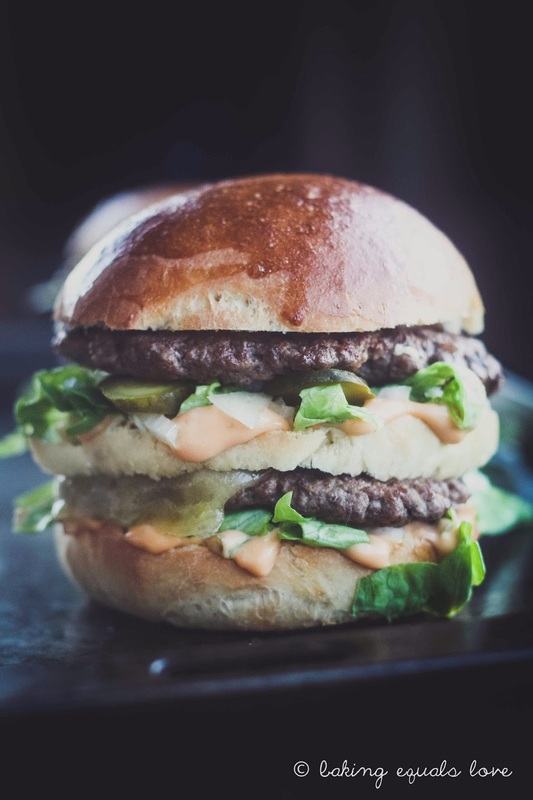 A Homemade Big Mac. I don't know bout you but after a gruelling week of exams/work/life what this girl wants, what this girl needs, is some good honest trash food. Greasy salty junky awesomeness. Get in my belly. I'd been meaning to make burgers for dinner for a while now. And if you're going to make burgers why not tackle THE burger right?